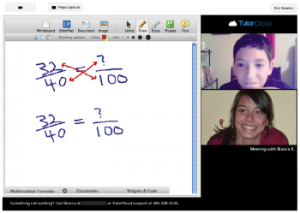 Can Online Tutoring Work as Well as Face-to-Face? There are some 40,000 tutoring companies in the U.S. While most of these are face-to-face operations, many offer online tutoring. The problem is that most of the online services don't have a particularly good reputation -- not among students, not among parents, and most damningly perhaps, not with the Better Business Bureau. The $8 billion-a-year industry presents a big opportunity for a smart company. Plenty of online tutoring companies are trying to find the secret sauce that creates a quality experience. First, it must provide an easy experience technologically. In other words, it can't be difficult or cumbersome to locate or request a tutor or to engage in a tutoring session, nor can the tools tutors need be antiquated. Second, and most importantly, it must offer quality tutors -- those with knowledge in the subject matter and experience teaching and tutoring. Tutoring should be akin to mentoring, and as such, it's a relationship that benefits from more than just subject matter expertise. One young startup, TutorCloud, which just graduated from the Imagine K12 education start-up incubator this summer, is trying to do just that. First, the technical piece: TutorCloud offers an online classroom with both video chat and a whiteboard. While some people may balk at the idea of online tutoring sessions, co-founder Blair Silverberg argues that many students are already using video chat to talk to their peers as they study. Facetime, Skype, Google + Hangouts, and Facebook video chat are already becoming the go-to tools when students are looking for help. TutorCloud also offers an intuitive interface to search for the appropriate tutors. The tutors all have profiles and reviews for parents to get further insight into who will be working with their child. The tutor's availability is also listed so that it's easy to see if it'll be possible to schedule tutoring sessions. Once a parent requests a tutor, TutorCloud sends a text message to the tutor, notifying them of the request, and TutorCloud sets up a conference call so that the tutor and the parent can talk. All this is designed to happen within 15 minutes because, as Silverberg points out, when a student needs help, she or he often needs help now. While TutorCloud does offer a technical solution to the problem of online tutoring, the second piece -- and the bigger challenge perhaps -- is maintaining a selection of high-quality tutors. According to TutorCloud, 90% of the tutors listed on the service are students in Ivy League schools, and they have experience tutoring offline. But it isn't simply a matter of finding the smartest Stanford college student to tutor your kid in calculus. As Silverberg argues, tutoring should be akin to mentoring, and as such, it's a relationship that benefits from more than just subject matter expertise. He says students are far more determined to learn when they share an interest with their teacher or tutor, so the profile information about the tutors isn't just about their college majors but also their background and their hobbies. TutorCloud also works directly with some schools, matching alumni tutors to current students. Not only do they then have this commonality, but it's possible for a struggling student to see that someone else from that high school is successfully tackling college. That points to what may be the bigger mission of TutorCloud. Because tutoring can be done online and at a rate far cheaper than some of the offline options, it may open up opportunities for kids and parents to seek help who otherwise wouldn't. There's no visiting learning centers that identify you as a struggling student. Parents can feel comfortable monitoring the tutoring sessions. And the college students who tutor can set their own rates and hours. The challenges ahead for TutorCloud are to help these college students become excellent tutors and teachers, and to help convince the public that an online tutoring experience may actually be better than one that's face-to-face.